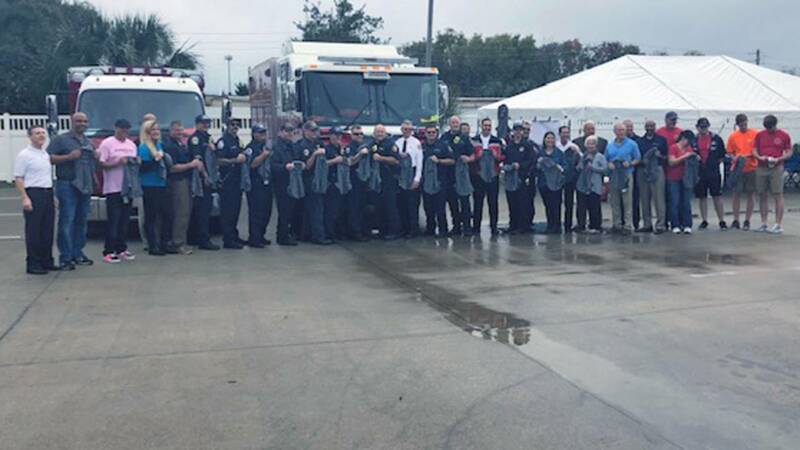 Cancer Specialists of North Florida donated the "Hoods for Heroes"
ST. AUGUSTINE, Fla. - St. Johns County firefighters received hundreds of special chemical-blocking fire hoods that could help save their lives. The Cancer Specialists of North Florida donated to the Hoods for Heroes campaign. In November, the News4Jax I-Team told you about the need for these specialized hoods that protect firefighters against carcinogens which cause cancer. Up to 99.9-percent. That’s how much the hoods can help reduce a firefighter’s exposure to dangerous carcinogens. 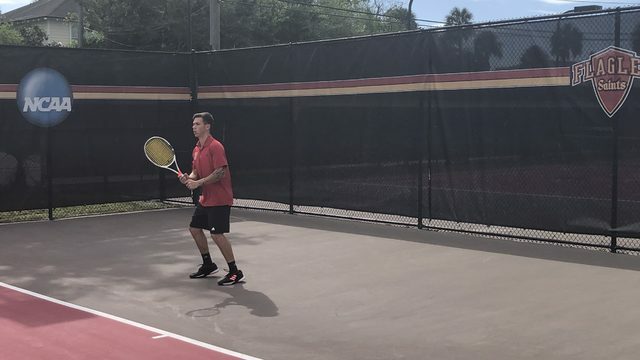 The hoods have really caught on across the country and now hundreds of firefighters in Northeast Florida are being protected by the state-of-the-art head gear. Co-Founder and CEO of Hoods for Heroes, Jeff Roundtree said they making them at a rapid pace. "We’re getting requests all across the country," Roundtree said. 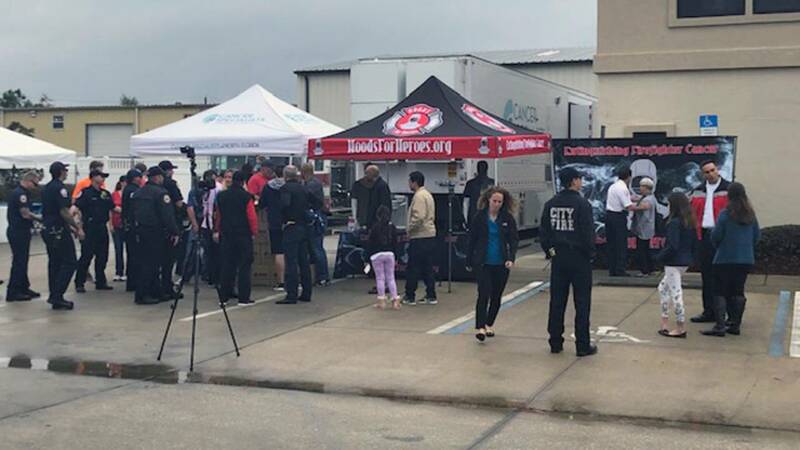 "The mission of the organization is to deliver chemical blocking hoods to every firefighter across the country which helps reduce their exposure to carcinogens and cancer." He said the high tech material is key. "They are triple blended weaves versus their old types of hoods that only blocks out heat," Roundtree said. Now more than 330 St. Johns firefighters have received the lifesaving hoods. 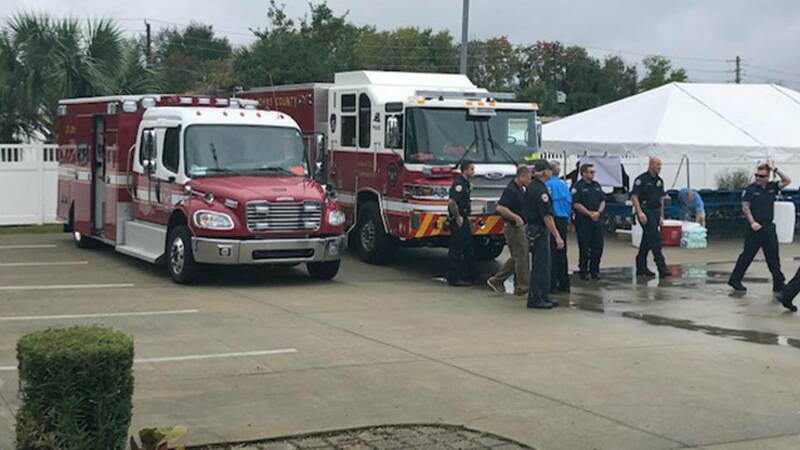 "Anything we can do as a community or department to protect our firefighters is what we’re going try to do, and we really appreciate it," said Saint Johns County Fire Rescue Interim Chief Jeff Prevatt. Some firefighters throughout the First Coast are already wearing the hoods. "We delivered about $25,000 worth of equipment to Clay County, so about 209 hoods," Roundtree said. When 70 percent of firefighters across the country are volunteers the donated hoods are life-changing. "Seventy percent of all line-of-duty deaths for firefighters is from cancer; not fighting fires, not getting into accidents. It’s literally seven out 10 deaths is from cancer," said Roundtree. So this holiday season there may be no more special gift for firefighters than getting these hoods. If you or a firefighting family member needs assistance following a cancer diagnosis, the Firefighter Cancer Support Network (FCSN) can offer support. Call 866-994-3276.